Internal auditing is included in Food Safety Management Requirements of the GFSI Guidance Document Sixth Edition Version 6.4 and as such is a compulsory element of GFSI benchmarked standards including BRC, SQF, IFS and FSSC 22000. Whilst at first the aim of your internal auditing system may be to confirm that your food safety management system is effective in meeting customer statutory and regulatory requirements, an effectively implemented and managed internal audit system can add significantly more value to your business. Internal auditing is not just about identifying compliance and non-compliance, by taking a proactive approach your internal auditors can contribute to the performance of your business by identifying areas for improvement. We’ll come back to this later but first let’s go through some relevant information regarding internal audit systems in the food industry. In any organization the Senior Management should be committed to the food safety management system and should provide adequate resource in the form of trained and qualified personnel to carry out a comprehensive Internal Audit Schedule. The internal audit system should be approved by the nominated member of the senior management team and include the scope and objectives of the internal audit system and a schedule for audit activities. * ISO 19011:2011 Guidelines for auditing management systems - provides guidance on the management of an audit program, on the planning and conducting of an audit of the management system as well as on the competence and evaluation of an auditor and an audit team. Audits should planned, taking into consideration the importance of the processes and areas to be audited and the results of previous audits. A designated qualified person should be responsible for allocating the audits as per the schedule to an independent auditor. Priority should be given to allocating the audit program resources to audit those matters of significance within the management system. These may include the key characteristics of product quality or hazards related to health and safety, or significant environmental aspects and their control. An important aspect of a management system is control of documents. In order to ensure the correct current authorized documents are in place and available most standards require a process of document control. 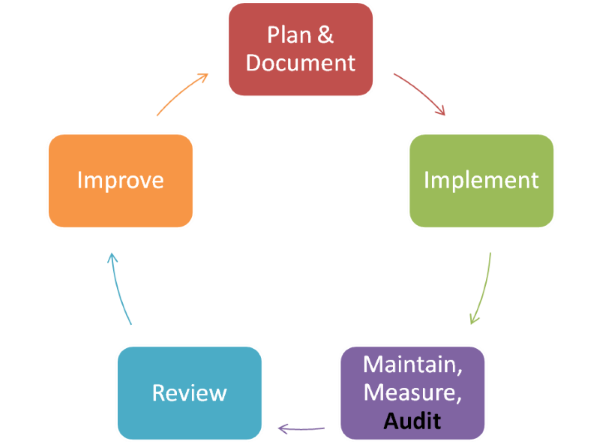 Auditing Documentation - Whenever an audit is conducted the scope of the audit should be defined. The auditor should be aware of relevant documents, procedures and records to use in preparation for the audit. The auditor should ensure that they are familiar with these documents and check that they are being used and applied correctly during the audit. The auditor should also ensure that document and record control elements are being applied to the documentation they check. Whenever an audit is conducted the scope of the audit should be defined. For each audit the Auditor should be briefed on the scope of the audit, audit criteria and a list of items to be audited (including follow up of previous audit findings and corrective actions). The aim of any interview is to acquire an understanding of the process. Observation of the process can provide a good overview of the level of conformance of the process. Records can be used to back up the sense of conformance developed during observation. Audits are an objective comparison of conditions and circumstances against requirements, the result of the comparison should also be objective. It is important to appreciate that surprises in audits are a bad thing. Prevent them. If you find non-conformances then point them out at the time, do not wait until the closing meeting or the audit report. It is not important to declare a non conformance at the time, but it is important to inform the auditee of your findings. The auditee should then be given an opportunity to respond to the points you are making. All of the detail regarding the areas audited, the evidence gathered, the scope of the audit and the principal participants must be part of the audit report. It must also contain the information that supports the audit findings, conclusions and recommendations. Notes should be kept as evidence to allow an independent reviewer to reach the same conclusion as the internal auditor. For example, the date and title of documents and records that were inspected should be noted in sufficient detail to allow them to be traced. The report should be a fair and accurate presentation of the current state of the food safety management system that was audited. The report should also indicate the demonstrated level of conformance of the part of the food safety management system that was audited. The organization should demonstrate that customer, statutory and regulatory requirements applicable to its products/services have been properly identified, are available and easily retrievable. Auditors need to be aware of the general and specific customer, statutory and regulatory requirements applicable to the products/services included within the scope of the FSQMS. The auditor should seek evidence that specific information regarding customer, statutory and regulatory requirements has been taken into account. Non-conformances and the corresponding corrective action can be managed via the audit report. For significant non-conformance some people may prefer to use a Corrective Action Request Form. 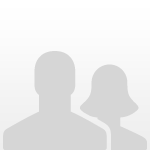 There is a sample completed form available below. It is good practice to ensure that a nominated independent member of staff checks that the action has been taken within the agreed timescale, and that this has rectified the problem sufficiently to prevent recurrence. FSM 11 Internal audit The standard shall require that the organization has an internal audit system in place to cover the scope of the food safety system, including the HACCP Plan or the HACCP based plan. Records are kept of internal audits and the corresponding corrective actions. 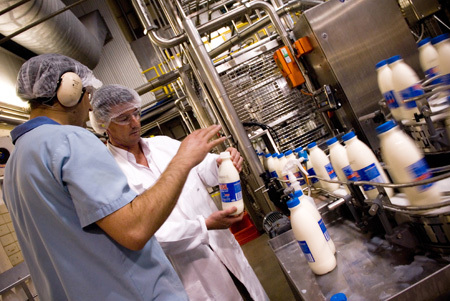 Good Practice Audits such as Good Agricultural Practice Audits, Good Manufacturing Practice Audits and Good Distribution Practice Audits are also a type of internal audit and are required by GFSI benchmarked standards. They are inspections of operations to ensure that they adhere to company standards and that the standards of hygiene and housekeeping are maintained. The frequency of inspections is based on risk but at least one per month is normal in open product areas. Audit findings, audit conclusions and audit reports should reflect truthfully and accurately the audit activities. In order to assist in ensuring an effective internal audit system an auditor needs to have the authority to conduct meetings, ask questions, observe processes, exercise judgments, raise issues, investigate and write findings. Be warned! Some people are frightened by auditors! In order to get the best information from the auditees, auditors should conduct themselves in a respectful and polite manner. If auditees are not at ease they may not provide the information required in order to carry out a useful internal audit. 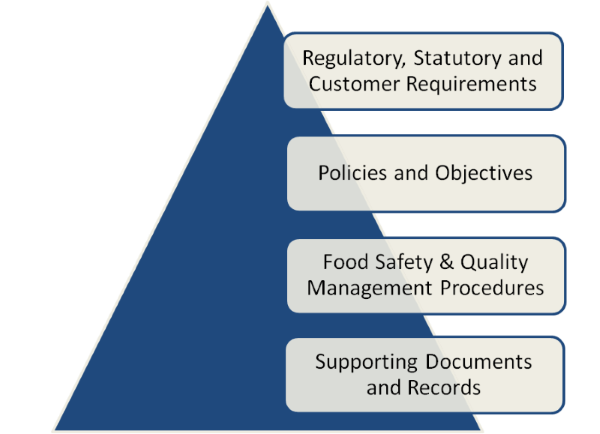 The purpose of an internal audit is to confirm compliance with the food safety management system. By all means raise areas of concern and non-conformances if appropriate. Audit results must be documented, clearly showing what was audited. The results of audits need to be communicated to relevant staff and corrective actions and timescales agreed. This may be achieved via operational or review meetings, or via an update at the end of the audit combined with documentation such as a memo or a copy of the audit report. Responsibility for corrective actions must be demonstrated – for example, by being recorded on the audit record sheet. Where non-conformities have been identified, it must be verified that corrective action has been completed effectively. Audits should be proactive so auditors shouldn’t be afraid to make recommendations or suggestions. Identifying areas for improvement is a major part of internal auditing. Remember the policies and objectives of the company when conducting your audit. It may be that there is insufficient or excessive documentation. If you believe there are gaps in the FSQMS documentation then highlight it in your audit report. If you think something is unnecessary discuss this with the Department Manager and Audit Manager. Whilst confirming your food safety management system is effective in meeting customer statutory and regulatory requirements, an effectively implemented and managed internal audit system can add significantly more value to your business. Internal auditing is not just about identifying compliance and non-compliance, by taking a proactive approach your internal auditors can contribute to the performance of your business by identifying areas for improvement. By empowering internal auditors and ensuring they are aligned with the business objectives you have an enlightened team looking to take the business forward. These are the people who as part of their role can identify areas for improving controls, processes, procedures, performance and for reducing costs. Typical areas for improvement are the removal of inefficiencies (such as duplication or unnecessary processes and documentation), identifying current and emerging risks to the business and how systems can be improved to work more effectively. By educating and ‘bringing on board’ your internal auditors a business will not only gain assurance that the organization is operating as management intends but the auditors will play an essential advisory role providing strategic insights that improve business performance. Tony received an honors degree in Molecular Biology and Biochemistry from Durham University before embarking on a successful 20 year career in the UK food industry in a variety of roles including Laboratory Manager, Production Manager, Quality Assurance Manager, Technical Manager, Technical Development Manager and Group Technical Manager. Tony qualified as a Lead Audit Assessor in 1994. Since 2009 Tony has been Chief Technical Advisor to the International Food Safety & Quality Network. Tony Connor and IFSQN recently conducted a four hour training webinar Practical Internal Auditor Training for Food Operations. The training course builds on the article content and shows your team how to implement an effective Internal Audit system. The webinar replay has now been made available so that you can take the course at a time of your convenience. Hello Tony...your article is very informative and helpful to the Internal Auditor like me and to my fellow Internal Auditor. Great article to read. Very informative.